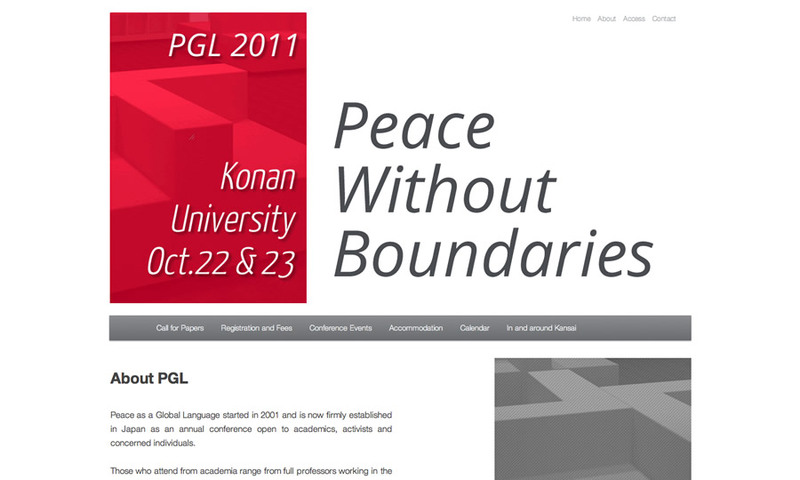 design and develop a theme for a japanese conference event site. the annual peace as a global language conference is a project of konan university in kansai, japan. 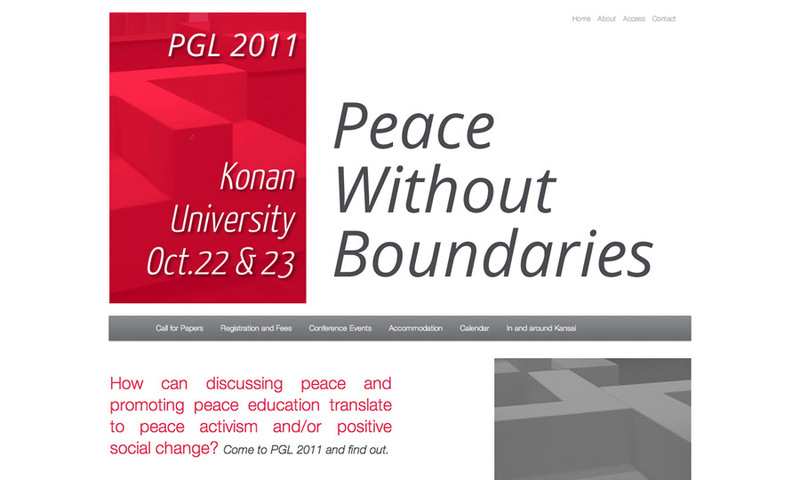 for its tenth year the organizers wanted to update their online presence and make it easier to connect with the participants during the planning stages. the goal of this project was to create a simple, clean, impactful wordpress theme and reorganize the information and layout as needed. the site theme takes advantage of wordpress features such as dynamic headers and menus for easy and fun customization and updating. the theme was originally built on the rad rootstheme framework, but it clashed with either the client’s server config or the wordpress 3.2 update producing instant 500 errors. i quickly ported it to the new wp twentyeleven theme and things are back on track. Posted in development.Tagged design, development, feature, web.